Harrisonburg bed and breakfast travel guide for romantic, historic and adventure b&b's. Browse through the iLoveInns.com database of Harrisonburg, Virginia bed and breakfasts and country inns to find detailed listings that include room rates, special deals and area activities. You can click on the 'check rates and availability' button to contact the innkeeper. Residents of Harrisonburg call it the 'friendly city.' What they may mean is the attitude of the locals towards visitors and tourists. Aside from this though, the sights at Harrisonburg are actually amiable to the eyes and provide a great experience of warmth and mirth. The Massanuten Resort Water Park is one of those sites in Harrisonburg that can really be enjoyable for kids and adults alike. The resort is only half a mile away from the city center. Those who want to catch a glimpse of beautiful quilts made in the 18th and 19th centuries, should visit the Virginia Quilt Museum, which is two miles away from the center of Harrisonburg. A bit of history will be found at Frank Kemper House, which is also Harrisonburg. There are several Harrisonburg bed and breakfast inns around the city and its immediate vicinity. By By the Side of the Road. Harrisonburg is located in the heart of the beautiful Shenandoah Valley of Virginia, one of Virginia's most popular vacation destinations. Explore scenic attractions such as Shenandoah National Park, Luray Caverns, and Shenandoah Caverns. Ski at Massanutten, swim at their waterpark, or go on exciting river expeditions. Learn about the first pioneers who migrated to colonial American or significant Civil War sites. 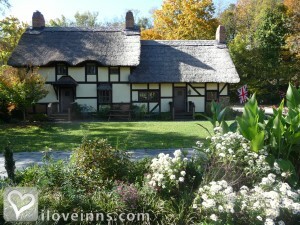 Experience fine dining, local wines, and a wide variety of entertainment such as Shakespeare. By Stonewall Jackson Inn B&B. Nestled in the heart of the Shenandoah Valley, Harrisonburg is in the middle of the Shenandoah Valley and is one of its cultural centers with awesome offering fine culinary options, a vibrant arts community, interesting annual events and festivals. Plan to visit the Hardesty-Higgins House Visitor Center, to learn more about the area. By By the Side of the Road.